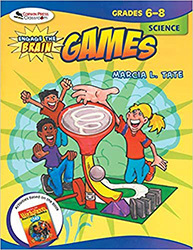 This valuable guide gives teachers the tools they need to plan lessons correlated to the way the brain learns best—and to ensure success for all students regardless of their learning style or special challenges! 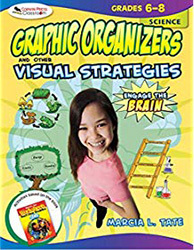 Drawing on classroom-tested, research-based strategies from Worksheets Don't Grow Dendrites, this practical resource offers a variety of content-specific activities that incorporate graphic organizers and other visuals that reinforce student learning. 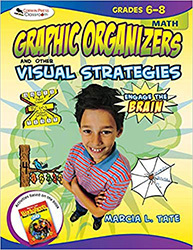 Based on national academic standards, these activities feature graphic organizers and visuals such as bar graphs, timelines, concept maps, sequence charts, cause-and-effect charts, segmenting mats, labeled diagrams, and more. 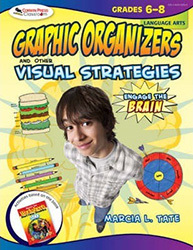 Each activity includes step-by-step directions; skills objectives, materials lists, and a myriad of creative reproducibles that help students organize and record their learning. Make a real difference in your students' energy, motivation, and achievement by applying these proven strategies to help them master curriculum objectives! Marcia Tate is the former executive director of professional development for the DeKalb County School System, Decatur, Georgia. During her 30-year career with the district, she has been a classroom teacher, reading specialist, language arts coordinator, and staff development executive director. 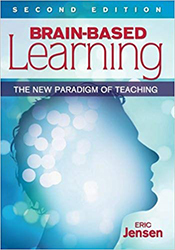 Tate is currently an educational consultant and has taught more than 350,000 administrators, teachers, parents, and business and community leaders throughout the world. She is the author of: Worksheets Don’t Grow Dendrites; “Sit & Get” Won’t Grow Dendrites; Reading and Language Arts Worksheets Don’t Grow Dendrites; Shouting Won’t Grow Dendrites and Mathematics Worksheets Don’t Grow Dendrites co-written with Warren Phillips, one of the best science teachers in the country.